Northern Praying Mantis (Chinese: 螳螂拳; pinyin: tánglángquán; literally “praying mantis fist”) is a style of Chinese martial arts, sometimes called Shandong Praying Mantis after its province of origin. It was created by Wong Long (Wang Lang) (王朗) and was named after the praying mantis, an insect, the aggressiveness of which inspired the style. One Mantis legend places the creation of the style in the Song Dynasty when Wang Lang was supposedly one of 18 masters gathered by the Abbot Fu Ju (福居), a legendary persona of the historical Abbot Fu Yu (福裕) (1203–1275), to improve Shaolin martial arts. 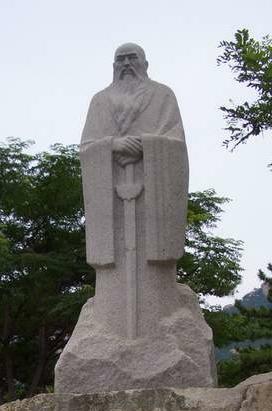 However, most legends place Wang Lang in the late Ming Dynasty. The mantis is a long and narrow predatory insect. While heavily armoured, it is not built to withstand forces from perpendicular directions. Consequently, its fighting style involves the use of whip-like/circular motions to deflect direct attacks, which it follows up with precise attacks to the opponent’s vital spots. These traits have been subsumed into the Northern Praying Mantis style, under the rubric of “removing something” (blocking to create a gap) and “adding something” (rapid attack). One of the most distinctive features of Northern Praying Mantis is the Diu Sao or “praying mantis hook hand” (螳螂勾手) a hook made of one to three fingers directing force in a whip-like manner. The hook may be used to divert force (blocking), adhere to an opponent’s limb, or attack critical spots (eyes or acupuncture points). These techniques are particularly useful in combination, for example using the force imparted from a block to power an attack. So if the enemy punches with the right hand, a Northern Praying Mantis practitioner might hook outwards with the left hand (shifting the body to the left) and use the turning force to attack the enemy’s neck with a right hook. Alternately, he/she might divert downwards with the left hook and rebound with the left wrist stump to jaw/nose/throat. The “praying mantis hook” is also part of some of the distinctive typical guarding positions of the style. Northern Praying Mantis is especially known for its speed and continuous attacks. Wrist/arm techniques in particular are emphasized, as well as knee and elbow strikes. Another prominent feature of the style is its complex footwork, borrowed from Monkey Kung Fu.